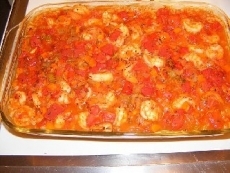 Have you made 1-Pot: Shrimp Casserole? 1. In saucepan, bring 1-1/2 cups salted water to boil. Stir in rice; cover and simmer over low heat for 15-20 minutes or until tender and water is absorbed. 2. Remove from heat; stir in egg white and 1 tb of the parsley. Press mixture into bottom of greased 8-inch square baking dish or other shallow heat proof casserole with same volume; set aside. 3. Meanwhile, in nonstick skillet, melt 1 tb of the butter over medium-high heat; cook garlic, mushrooms and celery, stirring, for about 5 minutes or just until vegetables start to brown. 4. Stir in onions, dill and 1/4 ts each of the salt and pepper; cook over high heat for about 2 minutes or until lightly browned. transfer to large bowl. 5. Whip out skillet; pour in 2 cups water and bring to simmer. 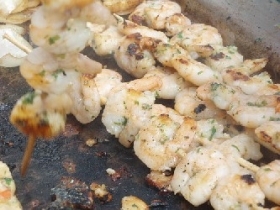 Cook shrimp for about 1 minute or just until pink. 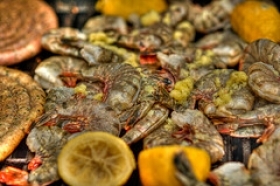 Reserve 1 cup of liquid, rinse shrimp under cold running water. 6. 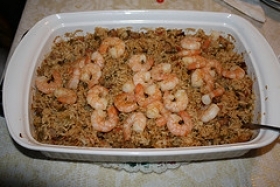 Shell and devein shrimp; arrange over rice in baking dish. In heavy saucepan, melt remaining butter over medium heat; stir in flour. 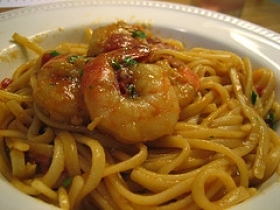 Cook, stirring, for about 2 minutes, without browning; gradually whisk in reserved liquid and milk. 7. Cook, stirring, for about 20 minutes or until thickened. 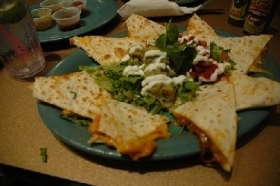 Remove from heat; stir in 1/2 cup of the cheese, lemon rind and remaining salt and pepper until cheese is melted. 9. In small bowl, stir together remaining cheese and bread crumbs. Sprinkle evenly over casserole. 10. Bake in 325F 160C oven for 40-50 minutes or until heated through. Broil for about 2 minutes or until top is golden. Let stand for 15 minutes. 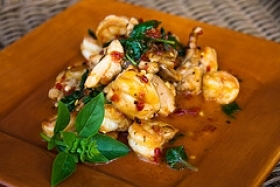 This recipe is high in Vitamin A with 32% of your daily recommended intake per serving. This recipe is high in Vitamin C with 28% of your daily recommended intake per serving. 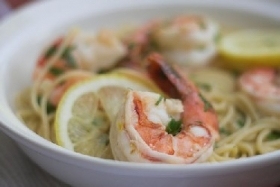 This recipe contains potential food allergens and will effect people with Wheat, Lemon, Egg, Milk, Shellfish, Butter, Gluten, Mushroom, Rice, Cheese, Spring Onion, Garlic, Shrimp, Celery, Onion, Citric Acid allergies.